Abi and I have always been book lovers, both for the stories within them and as physical items. 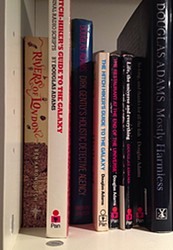 We have a nice collection of books, probably somewhere between 1,500 and 2,000 at the moment. We even designed our living room around the books, giving ourselves what we call the “Library Corner” as shown in the picture. There was a time in the late nineties when our Saturday activity consisted of taking a bus to some part of Edinburgh, and scouring all of the charity shops for 25p second-hand science fiction paperbacks. We had about 2500 books (mostly in boxes) by the mid-noughties, but we thinned the collection substantially before we moved to the Netherlands in 2007. I was sad, though, when I added Ben Aaronovitch’s Rivers Of London to the shelves. I had bought it for taking with us on holiday to France this year, and it is a fantastic book. So good, in fact, that as soon as I finished it, I downloaded Moon Over Soho, the second book in the series, onto my brand new Kindle. And when I finished the second, I downloaded Whispers Under Ground immediately, too. 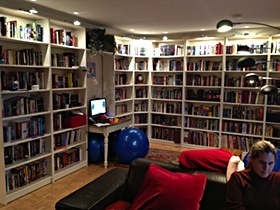 Which meant that when we got back home, I could only add the first book in the series to the shelves. It looks lonely there, without its sequels. And the sequels look out of place in my ebook collection without the first book. It’s an awkward half-way situation that emphasizes my ambiguity about ebooks: now that I have a good ebook reader — a Kindle, as opposed to an iPad — I do actually like reading ebooks on it. But I also want to own the books-as-physical-objects for my library. What do I do: buy both? Abi and I both have (or at least had) a dream of growing old surrounded by books, in a house with a library, not just a library corner. What will ebooks do to this dream? From a practical standpoint, I can easily see myself preferring to read ebooks rather than physical books very soon. Publishers and authors are reporting large percentages of their sales coming from ebooks now, and some (self-published) novels I’ve read recently are only available electronically. Just like MP3s replaced CDs, I think it’s inevitable that the convenience of ebooks will trump their shortcomings, and they will become the default reading format. A bookcase full of physical books will be an interior design feature for evoking a late 20th Century vibe, rather than a household standard. Having a library will mark you as an eccentric. I like to think that I will continue to buy physical books, and that our library will keep growing. 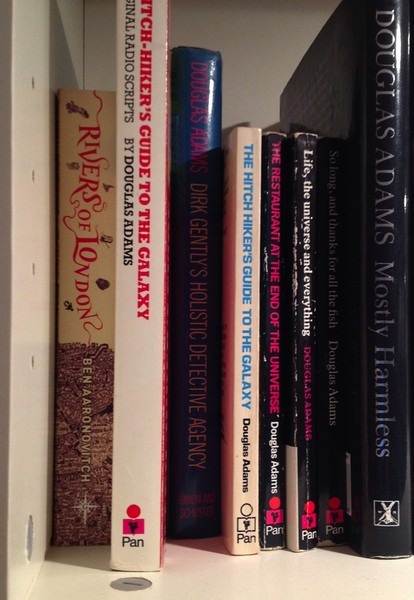 But it was a very long time before I inserted Ben Aaronovitch at the very start of the alphabet, ahead of Douglas Adams. How long will it be before I place another book in that spot, if ever? I didn’t set out to walk a marathon; it just turned out that way. My original thoughts about walking across London didn’t even feature a route. But with only a day available, I wanted to make the most of it. I definitely wanted see the sunrise — 06:23 on Saturday 8 September. I was staying in Crawley, so it made sense to start the route somewhere in South London. And I had a plane to catch at 18:30, so I would have to finish up around mid-afternoon to make my way back to Gatwick. If I gave myself a few hours for breaks to eat, or just to sit around and soak up the atmosphere, I’d have 6 or 7 hours for walking. At about 5km/h, that would give me time to cover 30km. I spent some time with Google Maps, and came up with a route from East Croydon to Camden Town. I’ve never been to Camden before, and that sounded like a cool place to end the day. Google said the route was about 32km. A good, sturdy trek. Perfect. To make it to East Croydon before 06:23, I had to catch the 05:33 train from Three Bridges. Unfortunately it got held up by signalling works and I didn’t get to walk through the sunrise after all, although I wouldn’t have seen the horizon from East Croydon town centre anyway. Watching dawn approach as the train sped through Surrey was very pleasant, though. Wisps of fog clung to the hills and fields, and planes sparkled in the sunlight as their approach paths crossed the terminator before it rushed past at ground level. I used Google’s “My Tracks” app on my phone to track my route as I walked, and I used Twitter to periodically broadcast my position for the folks back home. This KML file contains the route data I recorded on my way, and you can see it directly in Google Maps using this link. It was a fine, clear morning. The forecast said it would be about 25°C later in the day, but at 06:30 it was still cool. Long trousers, shirt, and hoodie were appropriate walking garb. This was the end of a short trip to the UK for me. I had flown in on Thursday evening, and attended the dConstruct conference on Friday. 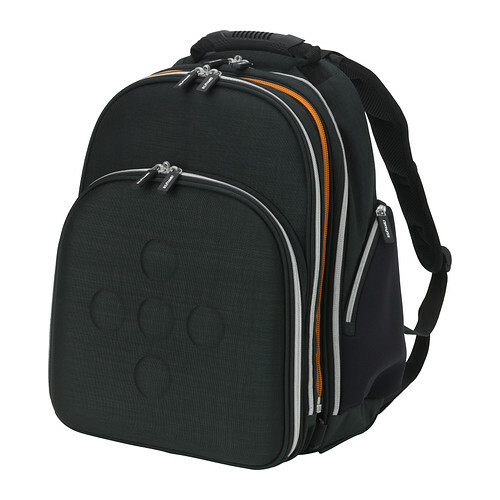 I was carrying a small amount of clothing and gear in my Ikea Upptäcka backpack. It wasn’t heavy, but the Upptäcka is optimally balanced for travel between checkin desk and airport gate, not for long treks — note to self for next time. Forgetting that if I wanted to head North, I should keep the rising sun on my right, I took a wrong turn almost immediately and spent some time noodling around Croydon town centre before deciding that I wasn’t going to figure this out by dead reckoning alone, and consulted the maps on my phone. I was using Vodafone’s internet abroad package, which gave me 35MB per day for €2. Having heard so many horror stories about data roaming charges, I felt cautious about using that allowance, but a certain amount of map-checking was unavoidable. Anyway, I got my directions straight, hooked up with the A236 at Croydon fire station, and laid down some miles. The A236 was quiet at that time on a Saturday morning. A few people waiting at bus stops, setting off on their way to work, or walking dogs. It wasn’t so quiet that I felt I could jump into the bushes next to the road for a quick pee, though. Google Maps doesn’t show public toilets, but I had some hope that Norbury train station, a few miles away, would have facilities. Turns out there aren’t, but there is a loo just outside Norbury police station a hundred meters further along the road. North through Streatham, Streatham High Road, Streatham Hill. Walking past the many grocers, I should have taken the opportunity to grab something to eat and drink, but I had momentum on my side, and I wanted to keep going. I had a bottle of water and half a bag of Revels with me from the previous day’s snacking, and I paused for a couple of minutes before heading down Streatham Place on my way to Clapham Common. I hit Clapham Common shortly after 9. It was a lovely morning, and lots of people were out cycling, running, or walking their dogs. This is also where I caught my first glimpse of the Shard peeking up over the trees on the far side of the Common. I used my phone to take and post a picture, but the camera on the Defy+ wasn’t good enough to capture the tiny distant detail. I was feeling really good about the walk now. The part of the route South of the river was the longest stretch, and I was eating up the miles. By Battersea Park the city had come properly awake. 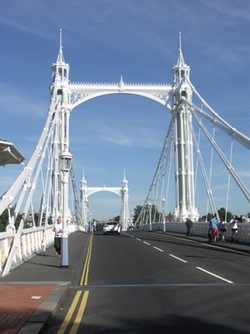 I crossed the river at Albert Bridge at 10:00, and took another short break to watch the river and take some photos. Chelsea. Inevitably, Elvis Costello playing in my head. I was deliberately walking without headphones and music so that I could listen the sounds of the city, and let London itself shake loose whatever memories and thoughts were flying around my head. Elvis Costello was a perfectly fine addition to the day’s mental soundtrack, which otherwise ended up including a surprising amount of Spice Girls. I had never been to Chelsea before, so I didn’t fully appreciate the origin of the phrase “Chelsea tractor” (an up-market urban 4×4) until then. Good grief. The place is like a luxury car showroom. But this is exactly what I went looking for on this walk: the experience of seeing the city change slowly around me, shading from one neighbourhood into the next, and discovering what the place really feels like above ground and between tube stops. 10:15. Hungry now, definitely time for breakfast. I bought a banana, a pastry, and some Diet Coke® at a Waitrose on Old Brompton Road in South Kensington, then walked up Queen’s Gate (aha! so that’s where the Natural History Museum is!) into Hyde Park, where I sat down on the steps of the Albert Memorial (aha! so that’s where the Royal Albert Hall is!) at about 10:45 to eat. The sun was beating down, and it was warm. I’d been walking for over four hours, and had covered about 20km. My feet were getting sore, and my thighs definitely felt they’d had a workout. I was glad for the rest and food. Off again, through Hyde Park, along the Serpentine, then down Constitution Hill towards Buckingham Palace. This turned out to be a mistake. I enjoy the walk from Victoria station along Victoria Street to the Houses of Parliament, but when I got to Buckingham Palace I discovered that the Mall was closed for the Paralympic marathons, so I couldn’t cross the street and head South. So I cut up to Pall Mall, Charing Cross, and approached the Houses Of Parliament from Whitehall instead. Buckingham Palace had been really busy with tourists, but that was nothing compared to the crowds bustling around Westminster Bridge and Jubilee Gardens, and blocking any kind of fast-moving pedestrian traffic, i.e. me. I was tired by this point, and being forced to slow my pace only made the fatigue worse. I was already annoyed at having to change my route, and realizing that the South Bank was going to impossibly thronged didn’t make me any happier. At 12:15 I bought a burger and sat down for a few minutes at the food market outside the Royal Festival Hall. When I was done, I tried braving the crowds on the South Bank again, but after a few hundred meters I gave up. I love that stretch of the route, but it was impossible to maintain a decent long-distance walking pace. I stopped in at a corner shop for a bottle of water, and set off through Southwark. A little later I got a text from Vodafone saying that I’d reached 80% of my data allowance for the day. And then my phone’s battery indicator went yellow, which means it was down to about 30%. Panic! I was using too much data and burning through my charge! In an attempt to use less power, I turned off the GPS on my phone, thinking that the My Tracks app would be smart enough to fall back to pure wifi location detection. I also resolved to check the maps and Twitter less often, and not to post any more photos. Even though I was enjoying the walk, and mapping my route and tweeting my progress felt important to me, I didn’t want to come home to a €100 charge for excess data. Unfortunately, when I checked my progress again on London Bridge, it turned out that My Tracks was not using wifi location finding, and had given up on tracking me at all for the last half a kilometer. Bums. After spending a few minutes trying (and failing) to get my backup phone to talk to the Vodafone network, I reluctantly switched my main GPS back on. Fortunately, Abi messaged me to remind me that Starbucks often has power sockets available for customers. Seeing as I had all of my charging cables with me, that seemed like a good option. So on the other side of the river again I passed Monument and Bank tube stations, walked up Cheapside, and at 13:30 I found a Starbucks round the corner from St. Paul’s with power sockets and comfy seats. 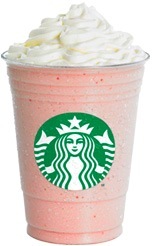 My favourite drink at Starbucks is a Strawberries & Creme Frappuccino with masses of whipped cream on top. It’s basically a fancy milkshake, but I love it. The day was hot, and I was very tired at this point. The GPS said I had done 33km already, and I probably had another 5km or so to go to Camden. I was torn between carrying on, and hopping on the tube back to the airport. My goals for the day had been to walk a lot, and to see a lot of London: I had done that. But then I read Louise’s tweet asking if I was walking a marathon…and the idea took hold. I’d only have to make it a few more kilometers past Camden to hit the 42.2km mark. So now it was a matter of timing. My flight was leaving Gatwick’s North Terminal at 18:40. Counting backwards: boarding at 18:10; half an hour to make it to North Terminal, 17:40; half an hour for security theatre and moisture control, 17:10; half an hour for the Gatwick Express from Victoria, 16:40; half an hour to get back to Victoria by tube. I had to finish up my walk by 16:10. It was about 13:50 by this point, so I had almost 2.5 hours to walk another 9km. Other factors: I was pretty sure my feet were blistered, and my right knee was starting to hurt. This would slow me down. 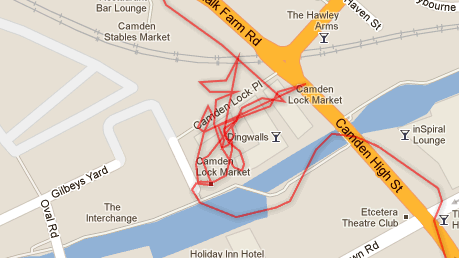 I also wanted to stop at Camden Market to buy a present to take back to Abi, which would eat into my walking time. It was going to be close. Getting moving again after that break was hard. My legs ached, and I couldn’t find my rhythm. I had got my phone back up to 40% charge in the Starbucks, but the matter of data charges still niggled at me. My reluctance to use the maps on my phone made me take a wrong turn off of Holborn Circus, and I cut up through Clerkenwell before turning West again to meet up with Southhampton Road. Another long straight stretch: Russell Square, Euston, Mornington Crescent! I had never been there before, and seeing the station brought a smile to my face. I made it to Camden Town at 15:00. I was getting back in the groove, and despite the pain in my knee I knew I could still carry on. The shops on the high street were ripe with T-shirts, sunglasses, and tasteless souvenirs; not the kind of thing I wanted to bring back home. I walked over into Camden Lock Market, where I found the right mix of small food stands, and jewelers selling hand-made bangles, earrings, and necklaces. I spotted a a beautiful Polish silver and amber bracelet, and had a nice chat with the Czech craftswoman selling it, but she didn’t take credit cards. After standing in line for ten minutes to tap the only working cash machine in the vicinity, I bought the bracelet and set off again. …and then I was there: 42.2km. Relief! But also: not much time to rest or take in the sights. A few minutes earlier I had passed a gorgeous pastry shop, the Euphorium Bakery, and I headed straight back there. I spotted a custard and apricot tart that looked delicious and tasted even better; I wolfed it down much more quickly than it deserved as I hobbled over to the tube station. Belsize Park is one of those stations where you have to take a lift down to the platform. I worried about how sweaty I must have looked and smelled, but everyone in the lift was polite enough not to inch away from me, Ghostbusters-style. When I got to Victoria I realized I had some spare time, so I bought a copy of The Hunger Games on DVD for Fiona, a PC Gamer magazine for Alex, and then hopped on the Gatwick Express. To my surprise I didn’t fall asleep on the train, but I certainly made up for the lack of nap on the flight back: I don’t remember a thing from the moment I fastened my seatbelt. At Schiphol, I went through one of the fancy new automated RFID passport scanners for the first time. I was too tired to be excited about it. Abi kindly picked me up from the airport. When I got home and took my boots off, the blisters turned out to be large, but not catastrophic, and all intact. It was my right knee that concerned me more — it was swollen, sore to the touch, and hurt whenever I moved it. It felt like I had stressed a tendon, but fortunately a pressure bandage, anti-inflammatories, and a few days rest brought it back to normal. A week later, it’s absolutely fine. For my high school’s 75th anniversary, there was a 57km walk around South-Limburg. That’s the farthest I’ve ever walked in a single day; this London marathon comes second. I’m already wondering when I can do something like it again. I’m quite excited about the next couple of days: flying to London this afternoon, followed by a late supper with Jules & Becca; dConstruct conference tomorrow; walking across London on Saturday. Then on Saturday I plan to get up before sunrise, and watch dawn break as I walk some 25km across London. I’m staying at a hotel in Crawley, and I’m going to try and catch the 05:33 train from Three Bridges to East Croydon. From East Croydon I’ll head north-west through Streatham and Clapham to Battersea. Cross Battersea Bridge, north through Kensington towards Hyde Park. From Hyde Park across to Westminster Bridge, and along the South Bank to cross the river again at London Bridge. West again past St. Paul’s towards Holborn, and then finally up north-west to Camden Market. My original idea had been to just take a train to just inside the M25 and then head north without a plan, and I’d still like to do that some time. But on this trip I want to spend more time winding through the centre of London. For this trip, I’m going to be so busy with actual activities that I won’t have the time & concentration to sit down with a laptop, so that’s an easy one to leave behind. So I reckon it’ll “just” be my iPad, kindle, and two phones: one with my normal SIM, and one with my UK SIM for data to use as a personal hotspot. I’ve put the Nokia N9 back in the general pool for now, and am back on the Motorola Defy+ because it is nicely rugged for travelling, and (unlike the N9) it can sync all of my contacts. The secondary phone for data and hotspot usage will be the “Internet Puppy”, aka the Samsung Galaxy Y. Small and lightweight, running Android 2.3, it is the least fussy of my devices about wireless tethering. Clothes? What do you mean?